“I’m done. What do I do now?” I know you’ve heard this. My go-to answer is almost always “Go read a book.” This is always a great choice, but I also wanted to come up with a way for my students to have some other options. This Interactive Task Folder was the perfect answer. After creating a Solar Eclipse Lapbook to use with my students, I knew that I needed to make something else like this that we could use on a regular basis. My students took so much ownership in their work and commented over and over again how much fun they had while making it. 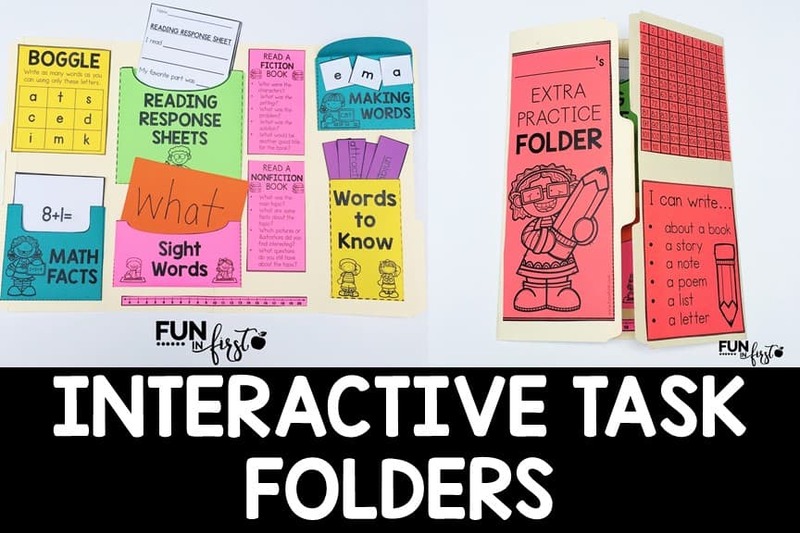 This Interactive Task Folder is great for my early finishers. They can pull out their folders and work on sight words, phonics skills, vocabulary words, math facts, and more. These are also great for students to use when you find yourself with a couple of extra minutes before lunch or at the end of the day. 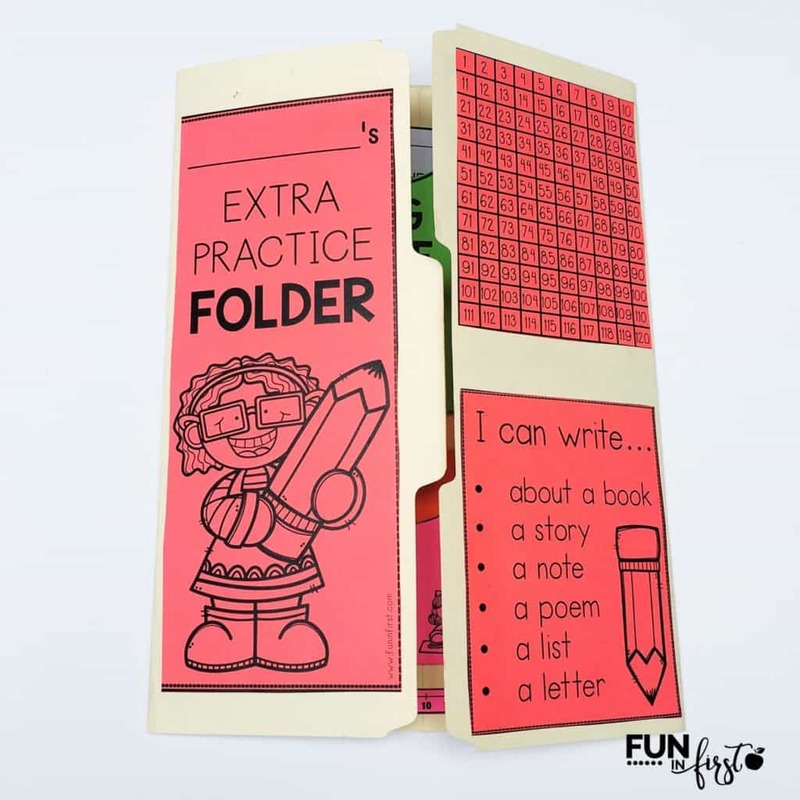 You will need a file folder for each student. Open up each folder and fold the two sides in towards the middle of the folder. Then, print off the pages needed to create the folder. I used Astrobrights colored paper, but you could definitely use white paper and have your students color their pages if they’d like. 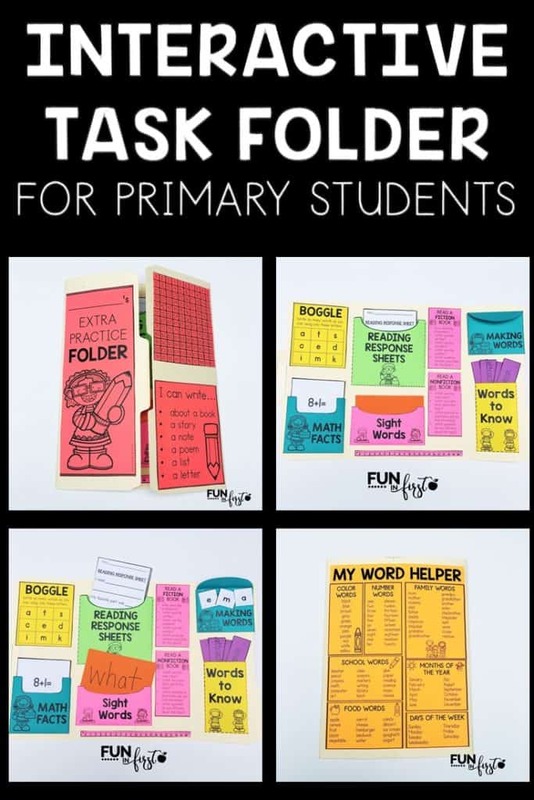 The front of the task folder includes a cover sheet, a 120’s chart, and a writing idea list. 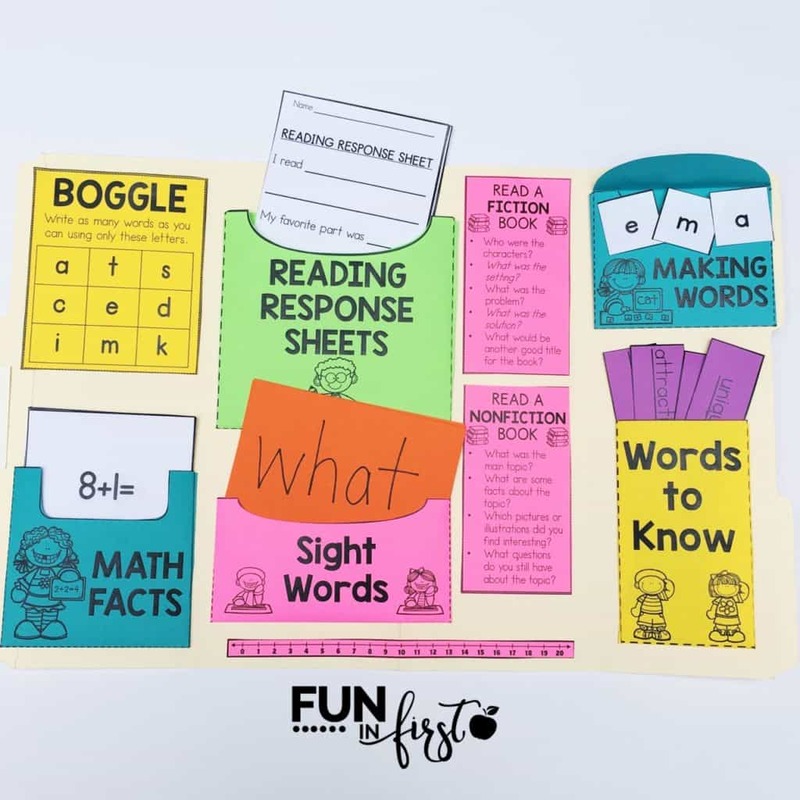 For the inside, I have included a BOGGLE board that can be edited. This way, you can change out the letters when needed and just have the students glue the new board right on top of the old one. I also had someone give me the idea to put this on with velcro to make it easy to change out. 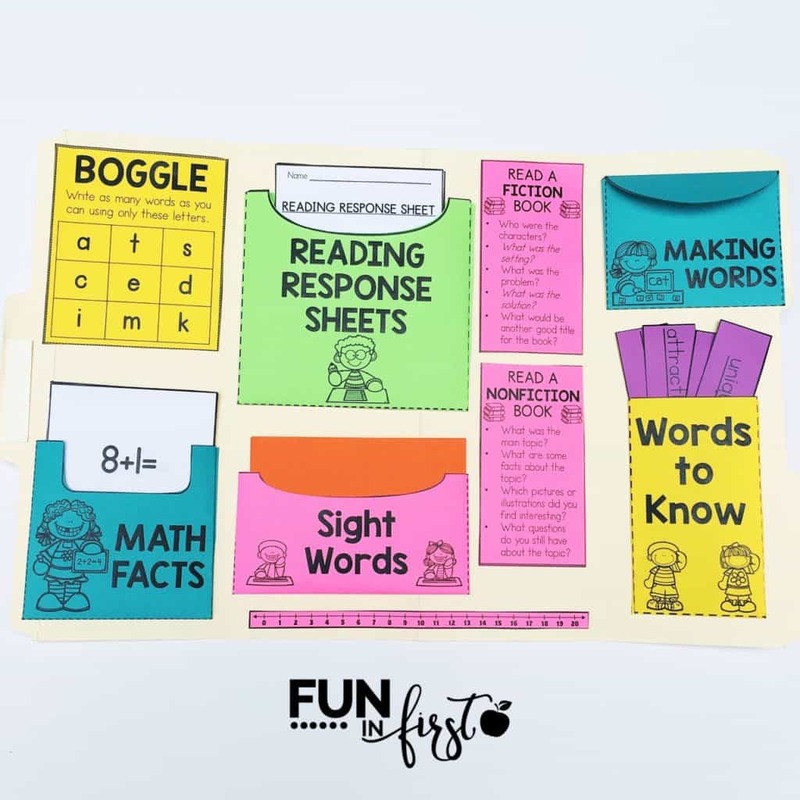 Students will also be able to practice their math facts and sight words. These pockets are sized to fit a 3×5 index card, or I have included editable math fact and sight word cards. The Reading Response sheets are perfect comprehension practice for students if they read a book in their spare time. I have included 4 different response sheets in this file. 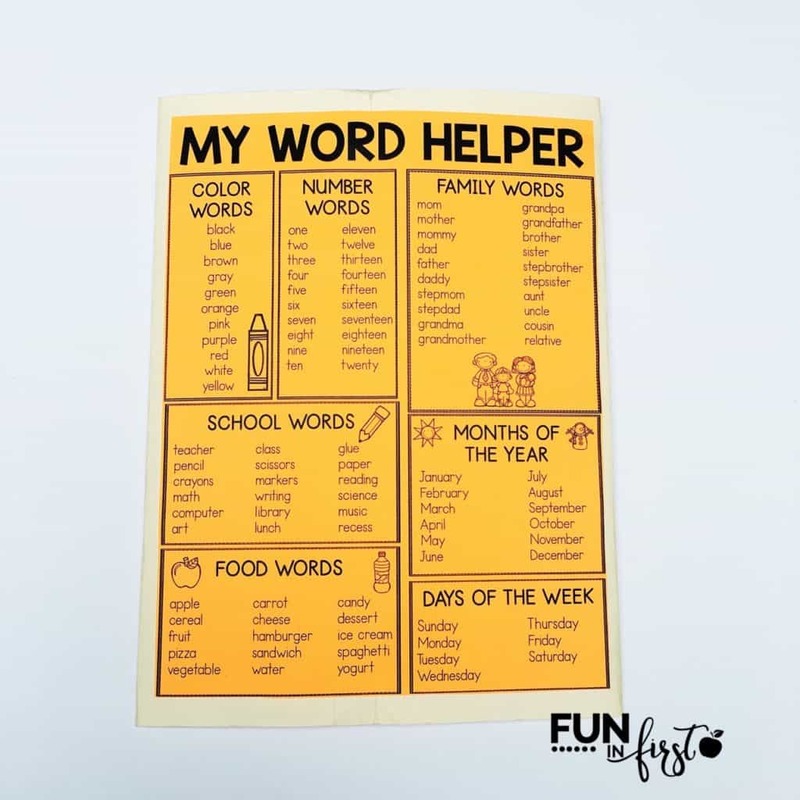 The Making Words activity is a great way to practice spelling and phonics skills. I have included templates to create your own Making Words cards. I have also included a template for you to make your own vocabulary word strips. These can be changed out each week to keep the items fresh. I like to include the vocabulary words from our reading selections for the week. On the back, I have included a Word List that is helpful for students when they are writing. It makes a great resource for them to use throughout the day. These folders can take a bit of time to make, but once they are done, they are such a helpful resource. I highly recommend having your students make these instead of you or a parent volunteer. The students really take ownership in their work and are much more likely to use these if they are the ones making them. What are teachers saying about this product? You can check these Interactive Task Folders out by clicking on any of the pictures in this post.